Towards the end of January, Kate and I spent the day with the team from EarthWatch's FreshWater Watch project learning all about their citizen science research project and what our contribution is going to be while we are on our expedition. Never heard of citizen science? Not to worry, neither had we before the autumn! In short, it is scientific research that is conducted by non-scientists, members of the general population who don't necessarily have previous experience or knowledge in that field. Another way to think of it is like crowd-sourced science... The fact that we are now fully-fledged and trained up citizen scientists just goes to show how accessible it is! A turbidity test, which is a measure of the water's cloudiness. High turbidity can be an indication of high sediment load or high algal concentrations in the water body. This influences aquatic plant growth and fish communities in the water. Visual assessments of the speed of the water flow, bank vegetation, and visible sources of pollution, including the presence of plastics. 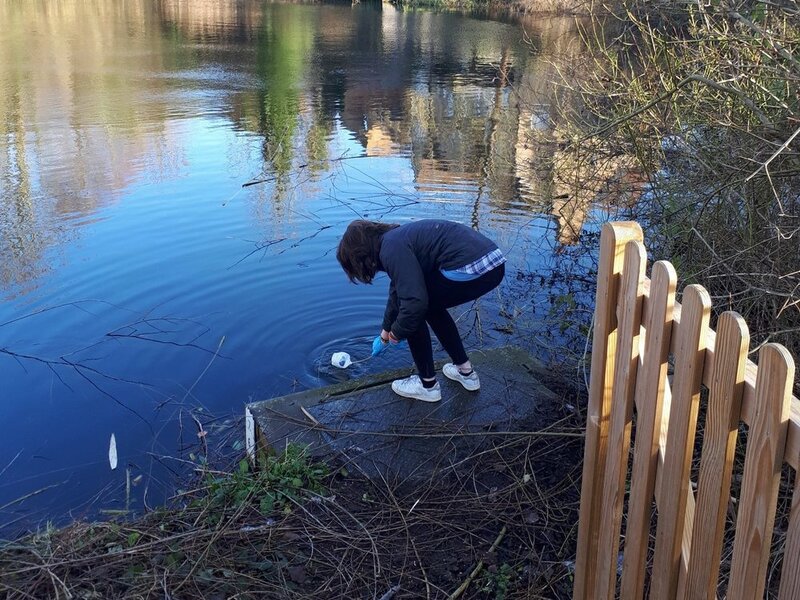 After being taken through the science behind the research and water sampling techniques, Kate and I were unleashed on two freshwater sources in North Oxford to put our newly found knowledge into practice. This project is particularly exciting for both Kate and I and FreshWater Watch, as this is the first time they've undertaken any large-scale research across so many continents. We're honoured to be able to able to contribute to their valuable work! You'll be able to track our water measurements through a map on our website once we have started the expedition. To find out more about the FreshWater Watch and how you can become a Citizen Scientist, head on over to their website here. We'd like to take this opportunity to welcome our latest sponsors to team Kayaking the Continent... Mamma Mia Pizzeria! We can't wait to come in and meet you all in the next few weeks. Thank you so much for your generosity and support towards our expedition.